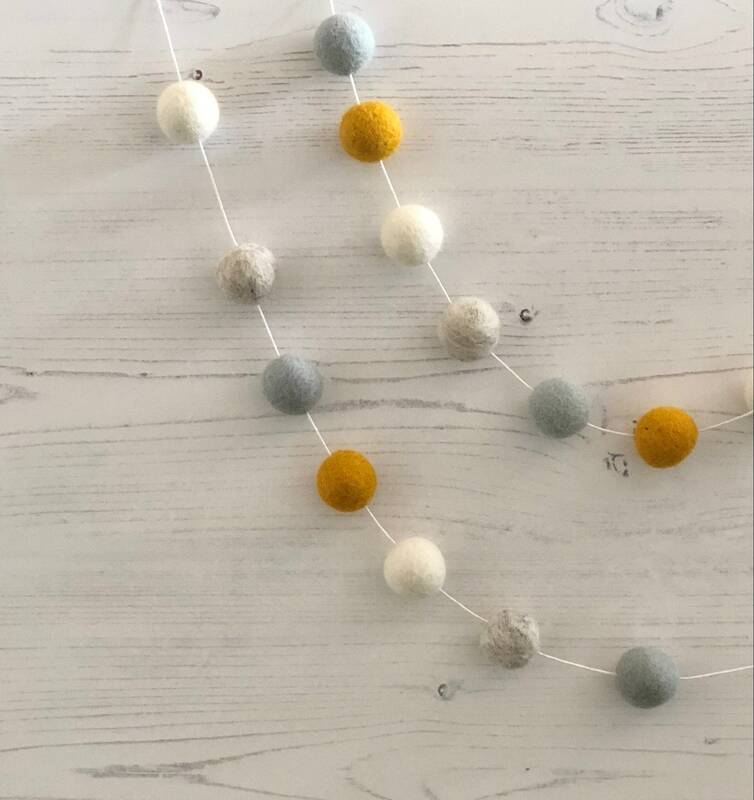 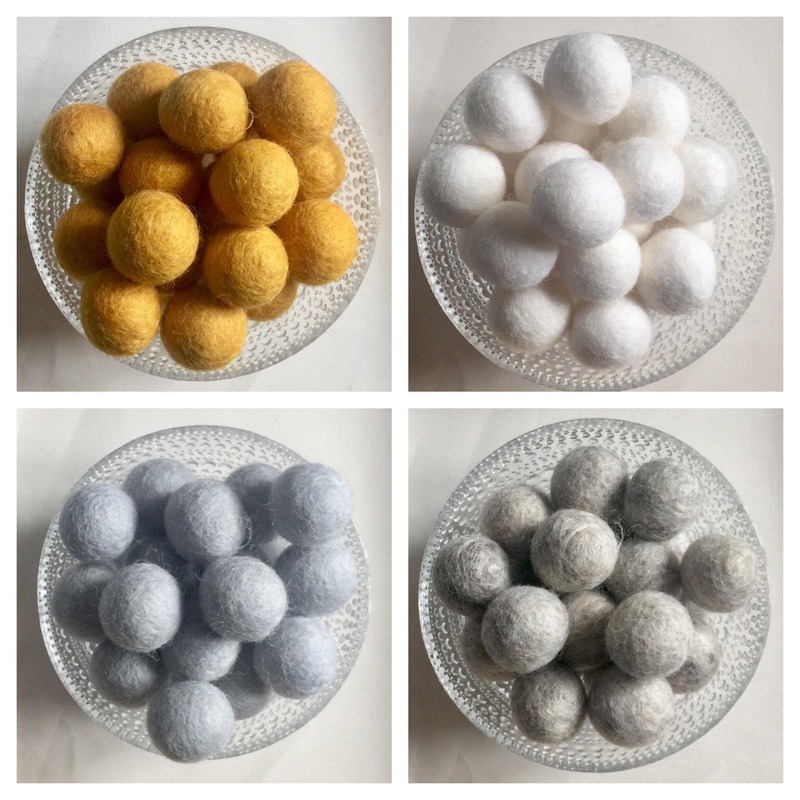 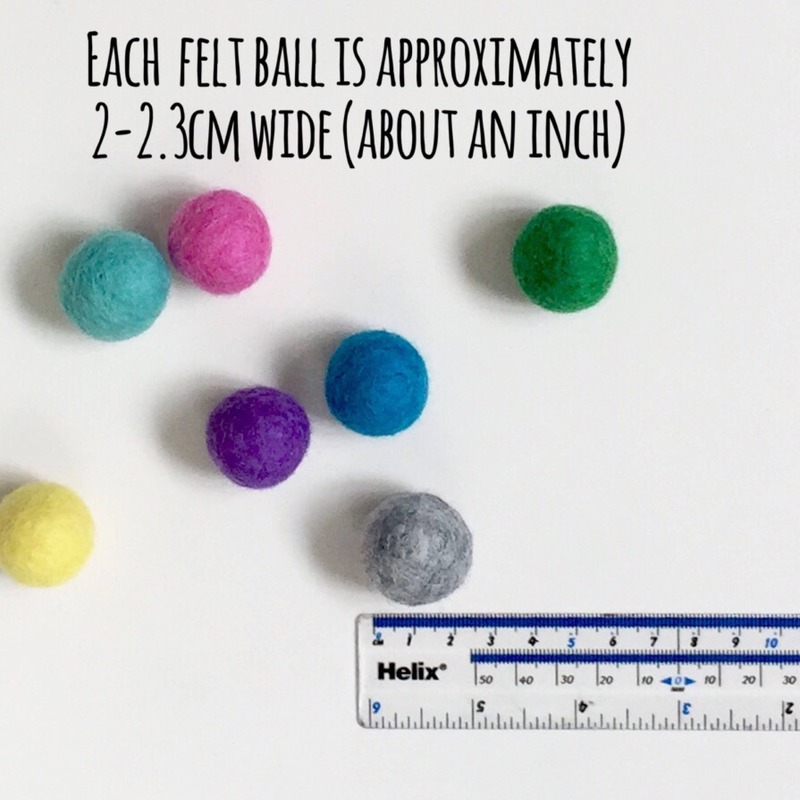 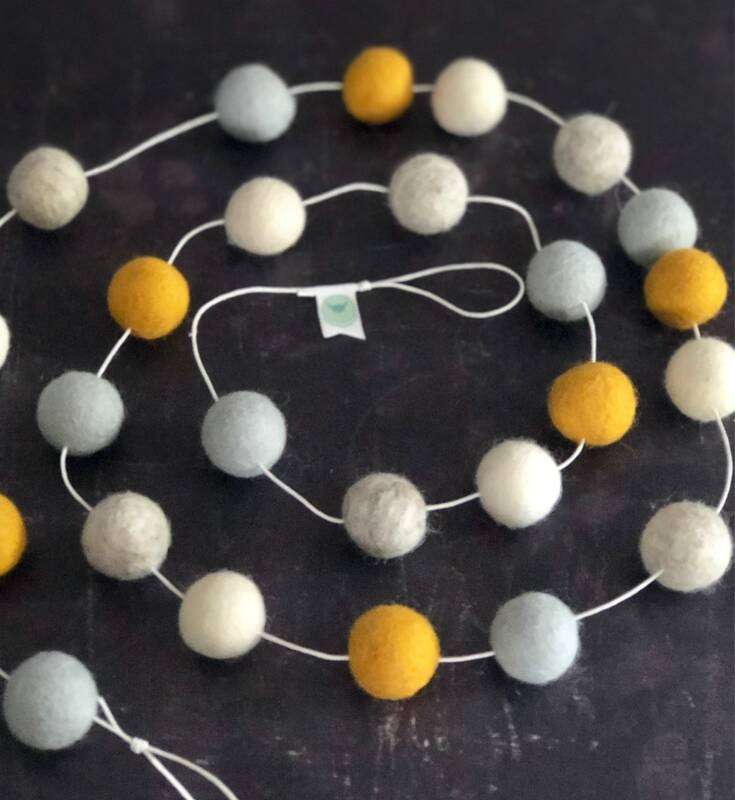 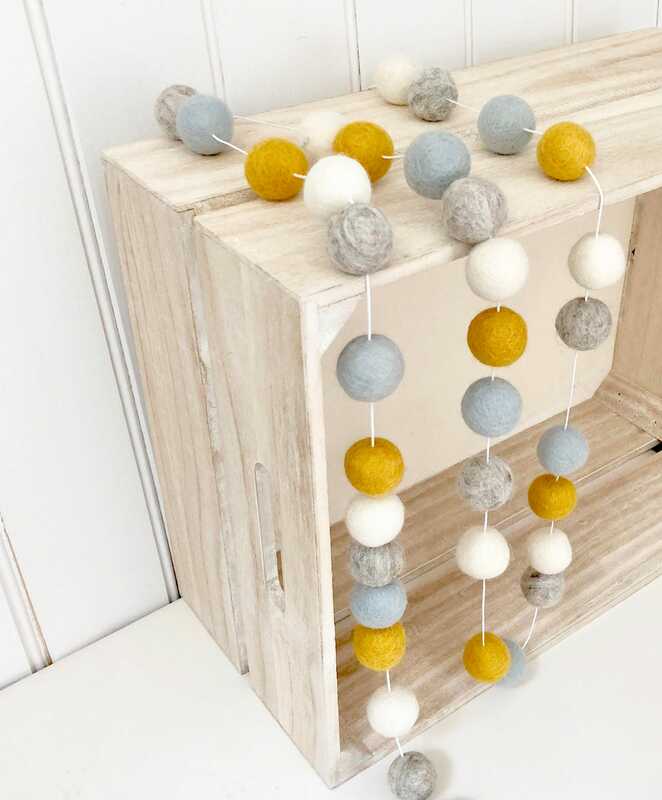 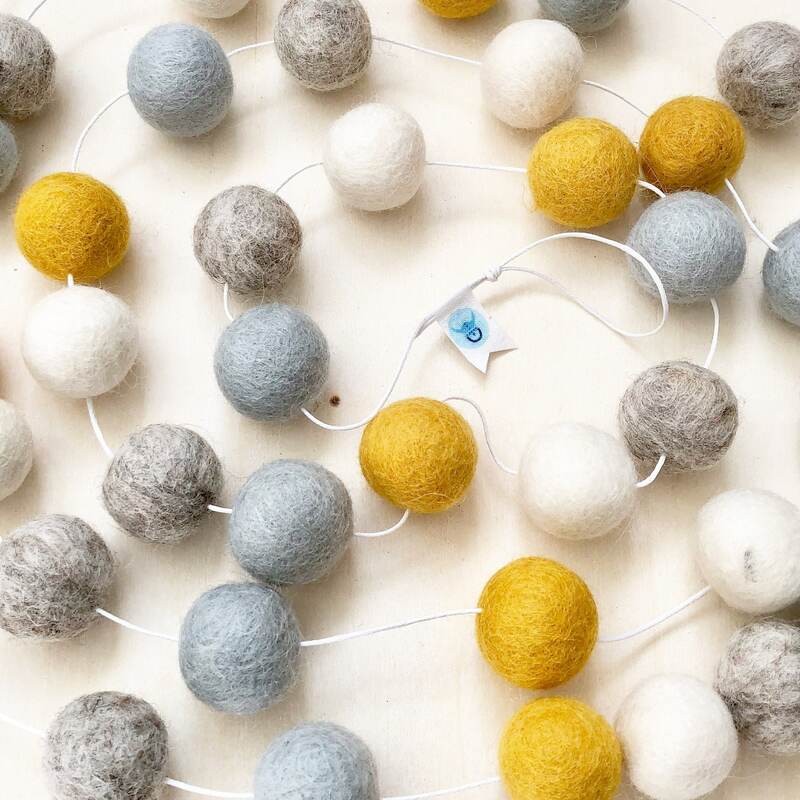 This soft felt ball garland comes in neutral mustard, soft white, grey and light silvery blue shades. 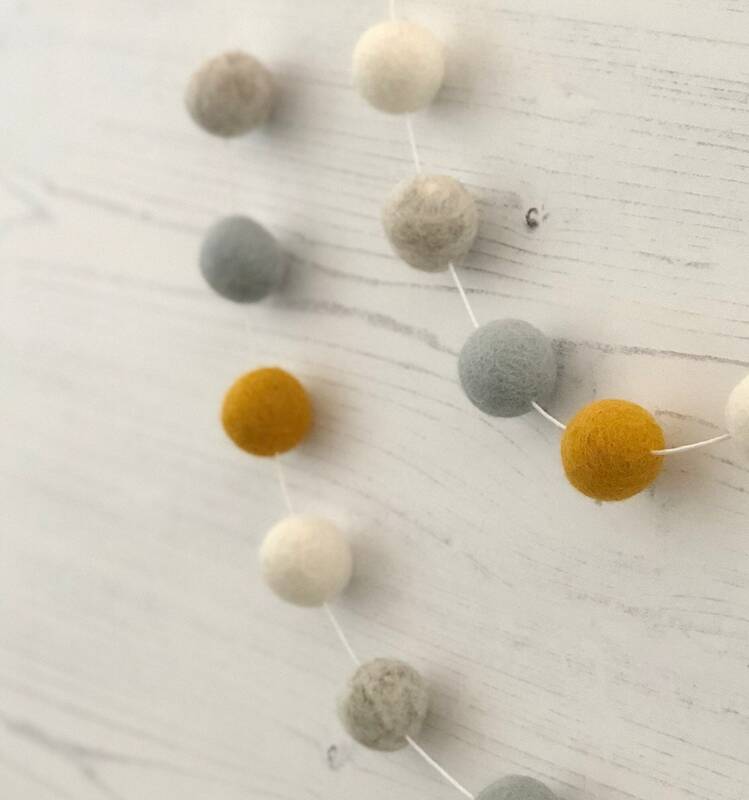 All of these colours compliment each other beautifully and would look super fab in a modern playroom or draped across the mantle. 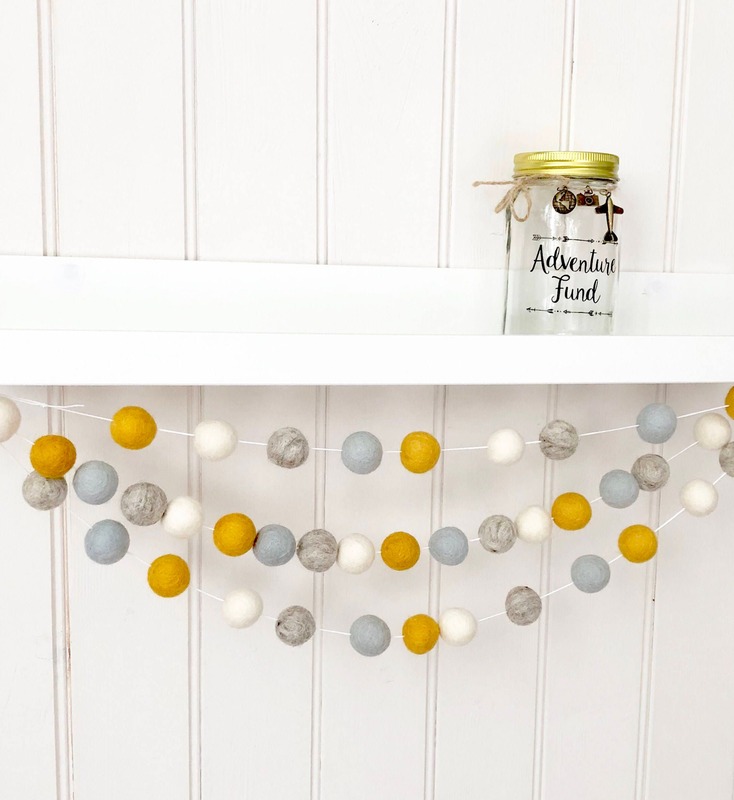 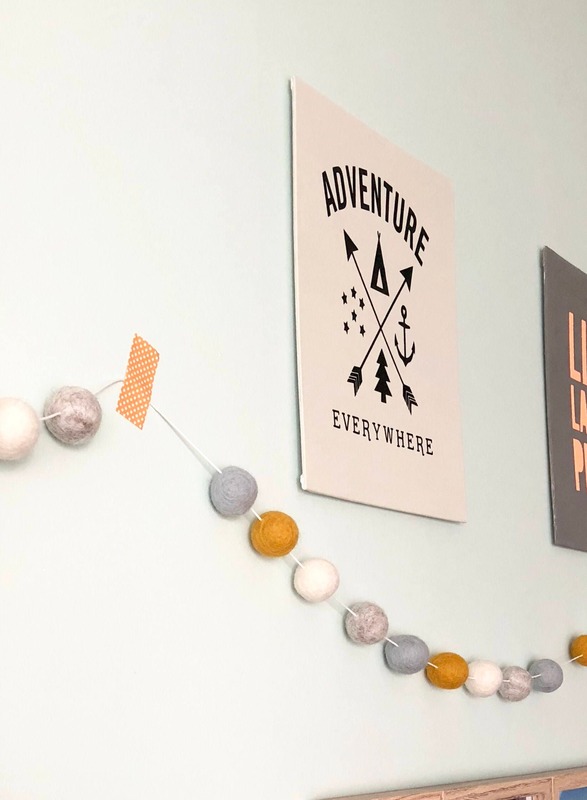 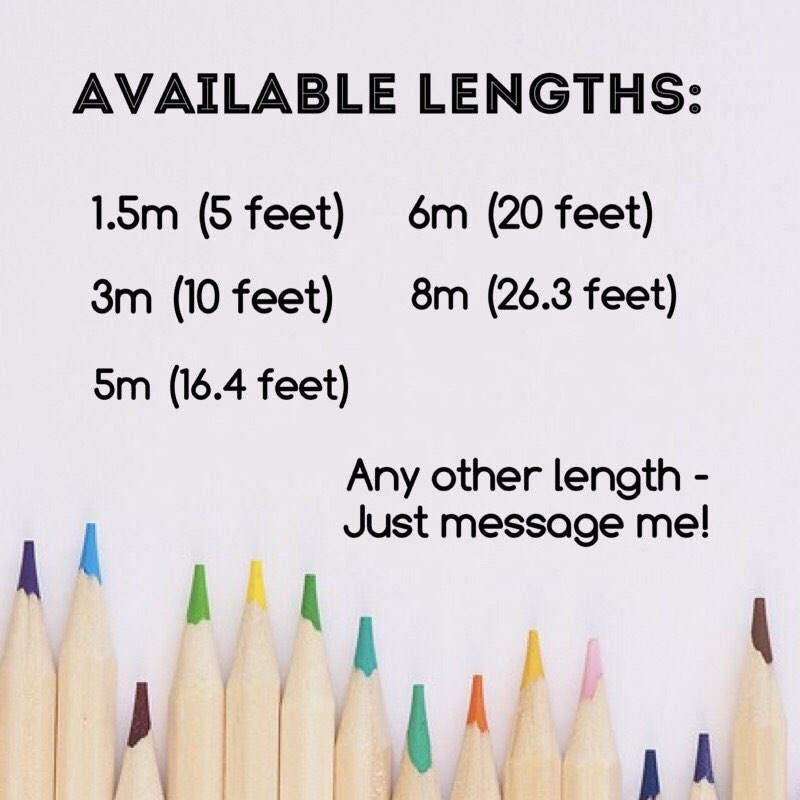 You can use this pom pom garland many ways and the shorter lengths are light enough to be hung up with a little strip of pretty washi tape!